Sgt. Allen Pearce has been with the Davidson County Sheriff's Office since 2004. Prior to being hired with the Davidson County Sheriff's Office he served honorably in the United States Marine Corps. 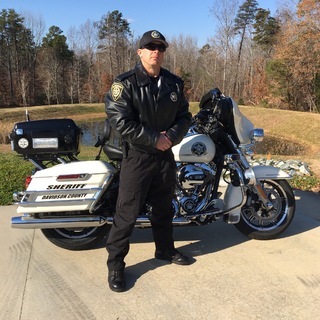 He has been on the motor unit since 2016, taking over in 2017 until being promoted in 2019 to Sgt. Sgt. Pearce is still an active member of the motor unit.